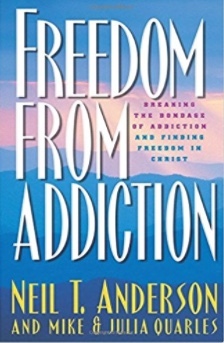 Freedom From Addiction – by Neil Anderson & Mike & Julia Quarles – Depicts Mike’s Journey from addiction to freedom in Christ and the truth that set him free, along with Julia’s story of what was going on with her and how she learned to get free from her codependency and perfectionism – $19.99 – Now $16. This book is also available as a Kindle ebook at Amazon.com. 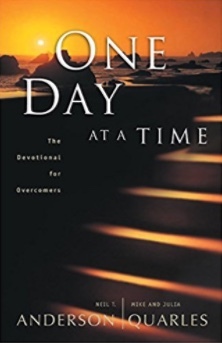 One Day At a Time – by Neil Anderson and Mike and Julia Quarles (A 120 day devotional that covers the ten topics that need to be addressed for a person to find their freedom. Each devotional is 2-3 pages long with discussion questions at the end and a place to journal. (More comprehensive than most devotionals) – $18.99 – Now $15. This book is also available as a Kindle ebook at Amazon.com. 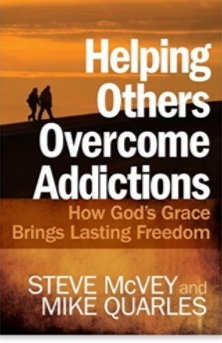 Helping Others Overcome Addictions – by Steve McVey and Mike Quarles. 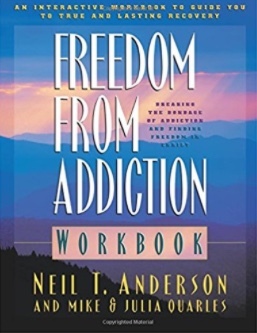 The truth you need to know to help others find freedom from any addictive behavior including perfectionism and codependency. Gives a Biblical perspective of the problem and clearly presents God’s answer – Retail is $12.99 – Now $10. This book is also available as a Kindle ebook at Amazon.com. 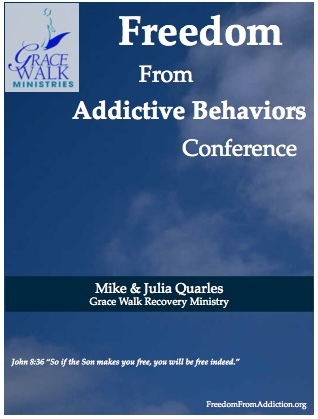 Freedom From Addictive Behaviors Conference DVD album – 9 messages by Mike and Julia – includes their Testimonies of Freedom, The Problem of Addiction, The Price of Freedom, God’s Answer for Addiction, Strongholds of Addiction, Forgiving From the Heart, How to Walk Free and Stay Free, Basics of Recovery to Freedom in Christ – – 3 DVD’s – $30 – Now $15. For the same price, this conference is available in an online edition. See the description here. Subscribe for yourself or donate a registration for someone else! 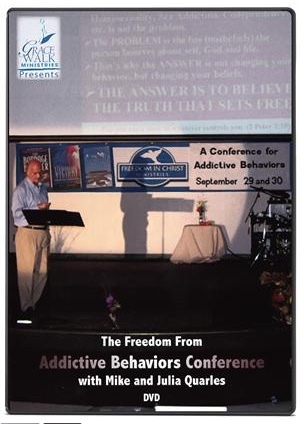 The conference audio CD edition is on sale for only $10.00. The Key to the Victorious Christian Life – booklet by Mike Quarles – $2.50 (includes shipping). It is also available in an expanded edition as a Kindle ebook via Amazon.com here. To order any of these items, use the Order Form below or e-mail your order to freedfrom@bellsouth.net . An invoice will be included with your order and shipping expenses will be added. Thank you! I want to order four items. I don’t use a credit card. Would like to send a check but don’t know what the shipping would be. Can you help me.